Iron Dog Bed | Wrought Iron and Brass Bed Co.
As a nation of dog lovers, it would be wrong for us to forget our best friends. First made many moons ago, for Harry’s Black Labrador Rosie (who also has a bed named after her, from our Brass and Nickel range). Our dog beds have been designed to cater for all ages, of man’s best friend. They are chew resistant and practically-indestructible for the young, comforting and supportive for the adults and most importantly, lift the elder ones out of drafts and off the cold floor. Hand crafted from iron and available in a choice of colours, our iron dog beds come in three sizes and will make sure your four-legged friend, have a comforting, supportive bedtime retreat… which may also include mid-morning snooze, midday slumber and a spot of afternoon napping. Easy to clean and care for, our iron dog beds sadly do not come with cushion included. 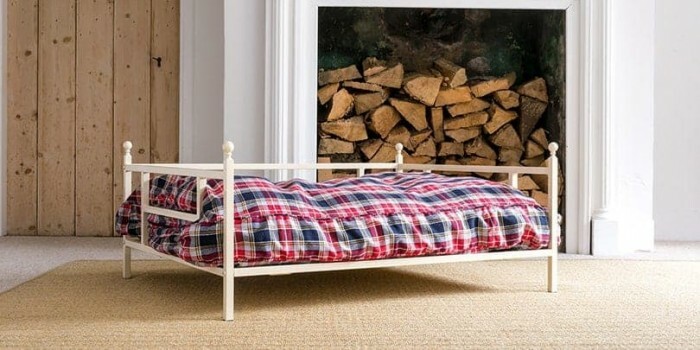 Small (28″ x 18″) – A small dog bed would happily fit an average sized Terrier or small Bull breed. 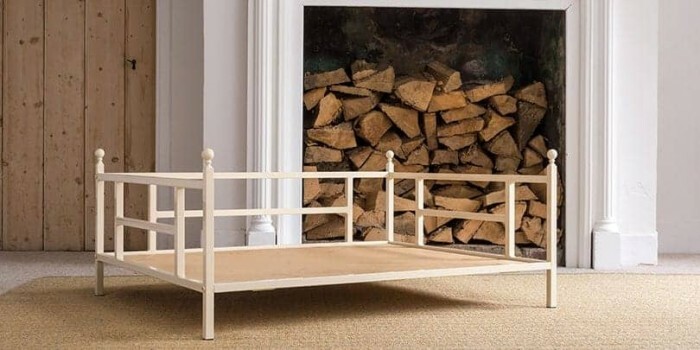 Medium (36″ x 24″) – A medium dog bed would happily fit an average sized Labrador. 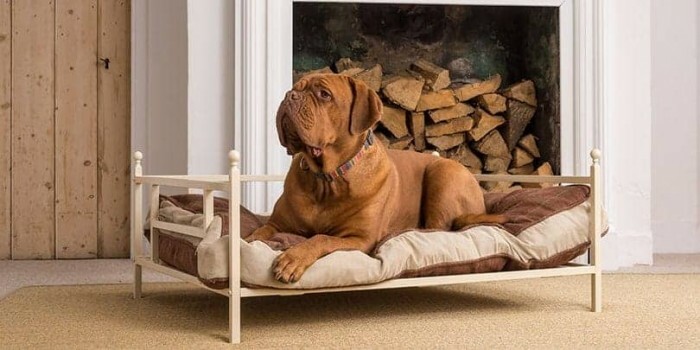 Large (43″ x 29″) – A large iron dog bed, would happily fit a small Dogue De Bordeaux (as picture and modelled by Nora).